In this two-part class, learn how to make the Colorful Cabins Quilt featured in the May 2018 Quilt Sampler Magazine. 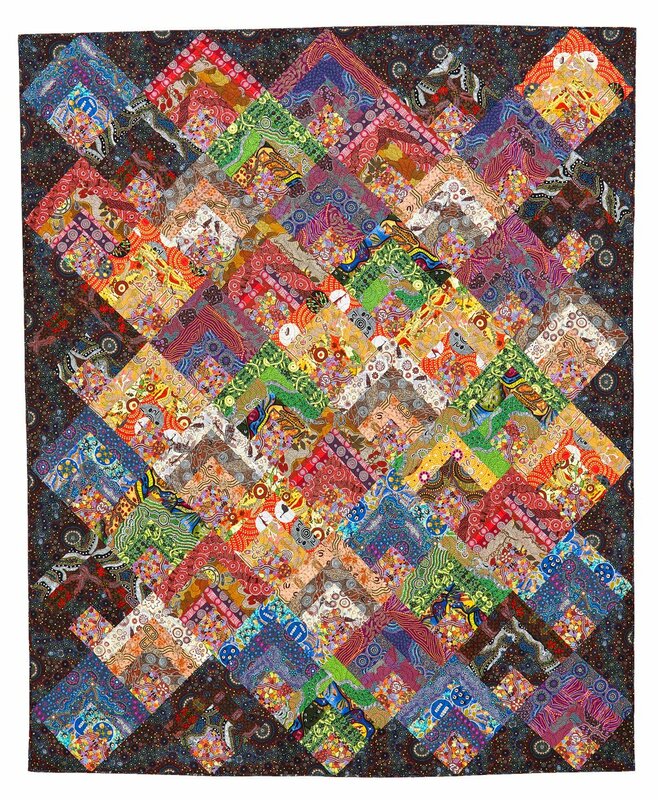 The fabrics are all aboriginals, with seven-piece blocks arranged in a diagonal setting for an impressive quilt. You will learn techniques for calculating setting and corner triangles, as well as how to construct the blocks and arrange them for stunning result! Kits with all the fabric you need are available at QuiltWorks.